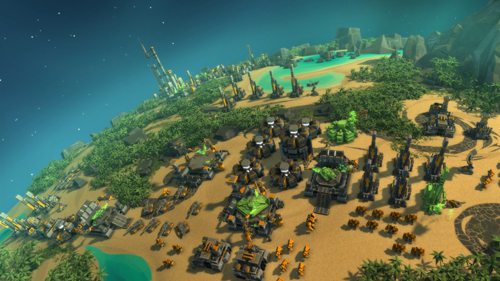 ‘Planetary Annihilation’ created and developed by Uber Entertainment Inc, to bring destruction on a massive scale to all PC screens. Uber Entertainment Inc are behind MNC, or Monday Night Combat released in 2011, and brought Super Monday Night Combat to Steam in 2012. If you are looking at the game title and getting gaming chills from a nostalgic name, then you are in for a treat. Jon Mavor is the project lead and CTO of Uber Entertainment Inc. He wrote the graphics engine for none other than Total Annihilation, and was lead programmer for Supreme Commander. With him is Steve Tompson, the art directer of Uber Entertainment Inc. He also worked on Total Annihilation and was art directer for Supreme Commander. Those two are the most known in the development company Uber Entertainment Inc. Others who are working on Planetary Annihilation have worked on games, such as: Monday Night Combat, Command & Conquer Generals Zero:Hour, Demigod, The Elder Scrolls:Morrowind, Earth & Beyond and many more games. The Uber Entertainment Inc development company are video game veterans in the game industry. That helps them develop ideas which they know work and do not work, because of all the experience they have collaborated together. 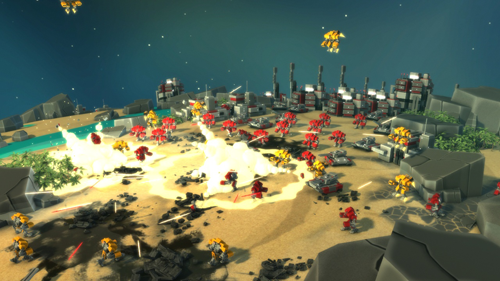 From that they decided to create a revolutionary RTS from the previous game title, Total Annihilation, and create Planetary Annihilation. Total Annihilation, probably one of the most first RTS games that proved that a Real Time Strategy could be damn fun, as well as tactically majestic. It won many awards, with critics and players hold the game highly, that much so it is still played actively today, after 10 years of its release. I have played, enjoyed and spent my own length of time playing Total Annihilation, it is a true game of all time. When I heard that Uber Entertainment Inc using part of Total Annihilation’s game title, cogs turned and my interest suddenly sparked. Plantary Annihilation is apart of the same brand as Total Annihilation, which can only mean something special is in order for this game. The voice of the narrator for the trailer is none other than John Patrick Lowrie, who also narrated Total Annihilation. Along with a team of developers in Uber Entertainment Inc, who want to visualise and create this game until completion. That and also a strong passion to do this, in interviews, video updates and written updates from the developers, you can tell they want this. Kickstarter is a great way to get it as well. With a great people behind the creation of such a fantastic game, who enjoy developing it. You can see one of their video updates bellow, where they give insight into their goals of the game title. Only a couple of days after they released their update on the development of Planetary Annihilation, they got to their primary goal of $900,000. Uber Entertainment Inc had done it, they where creating this game, and their passion had made it so. I was overjoyed at their passion, and at the uniqueness of Planetary Annihilation, every detail making me want it to reach the next goal. They where just as overjoyed and surprised as me that they even did a video. You can see that video bellow, I laughed at some of it, I can tell they enjoy working on such a game and the people they have as co-workers. Since they reached the $900,000 mark they have been powering their way through other set goals they held. 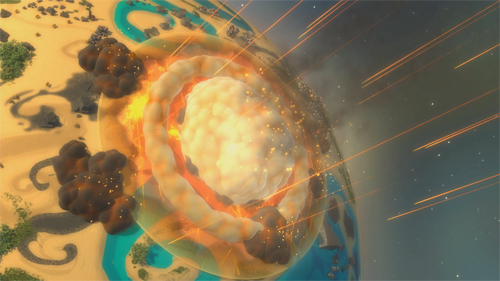 The most recent amount of people pledges is 34,262 with an astounding $1,629,700 to the production of Planetary Annihilation. Above and beyond what the developers had wanted and are pleased to be adding in more details to the game. Galactic War is their next big step in their goals, they need $1,800,000 to add the feature. Uber Entertainment Inc recently released a video asking people to pledge, and showing people what they can yet achieve. That video can be seen bellow. Each step closer to the next goal Uber Entertainment Inc get to is another brilliant added feature to Planetary Annihilation. I have made my own contribution to their Kickstarter project, as I’m sure you might if you want more out of this game title. Robots destroying each other, planets getting bombarded, giant asteroids decimating the planet itself. Which gamer who enjoys that, plus much more as well as RTS’s can not stay intrigued. I for one look forward to their next goal and the game release itself. Which is sometime during Q1 or Q2 of 2013. Their Kickstarter project page can be found here –Kickstarter Project Planetary Anihilation– and the actual website for Planetary Annihilation can be found here –PlanetaryAnnihilation.com-. I as well will provide PCGamer’s interview and preview links which can be found bellow. This game is above and beyond anything you see in RTS games today and I agree with Uber Entertainment Inc’s philosophy that suggests just that. 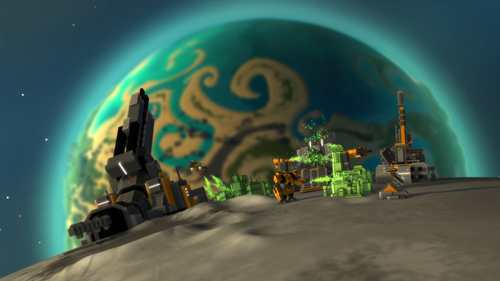 Planetary Annihilation is set to bring back and punch up the RTS gaming genre and I for one can not wait. What I’ve seen is something I want to do in the future, have passion and enjoyment creating a game I and fellow co-workers envision. I’ll have to apologise for the 4 same videos in this one article, it seems YouTube likes to change the links around on my blog quite a lot, unless I’m looking for it. I’ll try to find the videos and update it as soon as possible.